This campaign ended on December 21, 2018, but you can still make a gift to Belize Foundation for Research & Environmental Education by clicking here! #GivingTuesday Competition! Become an advocate! Share your personal plea video with your networks and the top TWO ADVOCATES with the most number of donations will win a special BFREE Gift Basket including a t-shirt, chocolate, and more! The competition ends at midnight PST on Tuesday, November 27th! Twenty-five years ago, I moved to Belize to pursue a dream of saving tropical rainforests and the remarkable biodiversity within them. 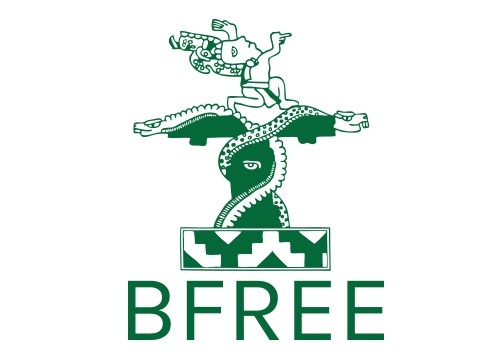 Since that time, BFREE was established and has remained committed to preserving the biodiversity and cultural heritage of Belize. As I reflect on the last 25 years, I would be remiss if I didn't start by saying how grateful I am for your support. Because of a dream to make a difference, BFREE was created. Because of your support, BFREE has made a difference. The passion and commitment you have provided BFREE over the years has contributed to groundbreaking science and research, hundreds of educational programs, support to local communities, countless scholarships and training, and much more. This is the season for thanks, community, and giving. We are now asking our community to give and support our work as we strive to accomplish our goals in 2019. Your donations will support BFREE's conservation and outreach programs, staff, scholarships, and training. Please help us reach our goal of 250 donors by December 21st. Show your love and support for BFREE, become one of the 250 donors helping us reach our goal today.